I may be a Judaic artist, but after teaching art for 10 years at Northside Catholic Academy, I will always celebrate St. Patty’s Day. Here’s a photo I took at Chicago’s Daley Plaza (right after performing my civic responsibility to serve jury duty.) 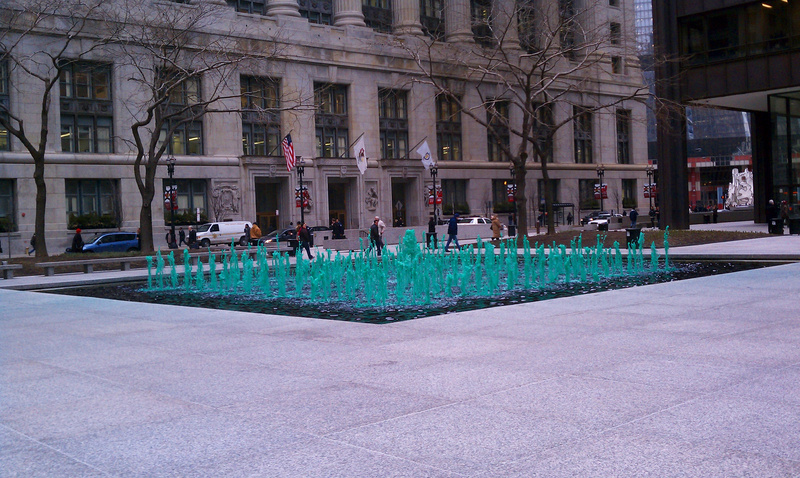 This is how we roll in Chicago: green fountains, green river, a green nature has never seen . Happy St. Patty’s Day to all, as we are ALL Irish today!